Peter Buttiens, CEO of ESMA and event organiser of the first European event of its kind, comments: “Looking at the printing market today, many traditional segments are under pressure from competition and this results in lower margins and less work. With a little help and expertise, many of the large format printers can become important suppliers for Printed Interior Decoration solutions. They have the equipment but need to gain some further knowledge and also build a new group of customers and professional partners. Recently, many successful printers switching to this segment have come forward, revealing that this sector could be as interesting and lucrative as the large format display and banner market today”. The conference demonstrated that entering a different segment of the market, such as the creation of interiors, is not always an easy transition. The construction and the interior design world have their own standards and regulations. But it highlighted how printers should be the full contractor. A printer providing decorative glass, should work together with a glass fitter to ensure the smooth installation of the decorative glass as doors, walls or windows. Therefore, it is clear that the right partnerships should be made between printers and contractors for these special interior design solutions. The presenters frequently advised on the right materials as well, and how to handle contractors on site. It attracted over 150 participants and showcased growing interest in the sector. Its success was further supported by Euroshop, the world’s leading retail trade fair and the wallpaper association. Elke Moebius, Director of Euroshop said after the event: “I first heard about the PID conference in spring 2014 and quickly realized the shared potential for printed interior decoration and EuroShop as the leading retail trade fair worldwide. Due to the increasing importance of e-commerce, it is now all about staging and emotionalizing the point-of-sale. And printed interior decoration contributes to this. The conference introduced me to many engaging topics”. With the growing interest in digitally printed and personalised wallpaper and wallcoverings, the event was supported by ‘IGI – The Global Wallcoverings Association’ and ‘Deutsches Tapeten-Institut‘, while SGIA was a Platinium sponsoring partner. FESPA also took the opportunity to launch its new project: the Print Inspiration Rally – an American school bus that is fully decorated with print. The conference programme provided a mix of technical overviews from suppliers and inspirational presentations from designers Markus Benesch and Birgit Spielvogel who showcased their use of digital print for decoration. “The PID event far exceeded my expectations – fantastic presentations and direct, effective networking. It was a great two days and worth every minute.” Visitor Markus Benesch, from MARKUSBENESCHCREATES. 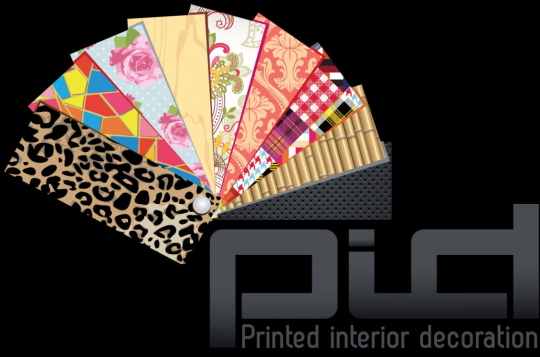 Staged in November 2016, the next Printed Interior Decoration will further mirror the potential of the interior decoration market and feature a broader approach with designers, creative developers, printers and suppliers.